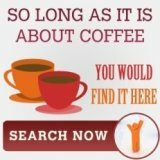 The views about coffee maker with grinder are divided. No one can deny that they provide a fresher cup of coffee when compared to vacuum packed coffee grounds. But, some folks think that coffee grounds from a separate grinder would brew even fresher coffee than a coffee maker with grinder. Personally, I think the views would depends on many other factors, primarily space. Most of us urban dwellers would not have the luxury of space to have a coffee machine and a coffee grinder (regardless of how small the grinder is). Moreover, are you sure we can afford the time to grind some beans, take it out then transfer it to the coffee maker for a brew? 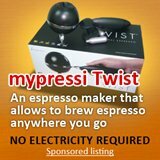 That is the selling point of most home espresso machine and automatic coffee maker. They invented programmable features. 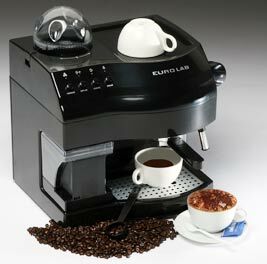 This would allow you to sleep a little later, and upon waking up, you would still get a freshly ground cup of coffee. Sounds good to you? 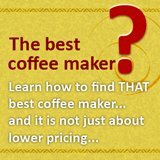 So, what are the naysayers negative thoughts about the coffee maker grinder? The first is the lack of weight. For those that are not into coffee grinding, weight plays a huge part in grinding. A heavy coffee grinder would ensure that the grinding operation is smooth and even. But, being part of a coffee maker does not provide such stability, thus, the grinding might not be as good as a stand along grinder. Then, there is the grinding dimension. 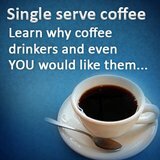 Being part of a coffee maker limits the grinding function. That is, the grinder would not be able to produce grind fine size that stand alone coffee grinder would be able to. These two factors are what coffee lovers have against coffee maker with grinder. But, if you would to ask me, I would say these machines gives great coffee. To choose between using vacuum packed coffee grounds and freshly ground coffee that is not the best, I would choose the latter any day.